So on this mild Tuesday night I headed down to the M&S Bank Arena (everyone will still call it the Echo arena, forever) to witness the BAFTA award-winning BBC One television series on a 200 square metre 4K Ultra HD LED screen. Somehow I had hustled a front floor seat, central to the full ensemble of the City of Prague Philharmonic Orchestra who were going to perform the original immersive music score by Bleeding Fingers Music (composed by Hans Zimmer, Jacob Shea and David Fleming) and conducted by Matthew Freeman. The evening was hosted by BBC presenter Anita Rani, who is known for the BBC One series Countryfile, and regularly appears in and presents the BBC’s One Show. 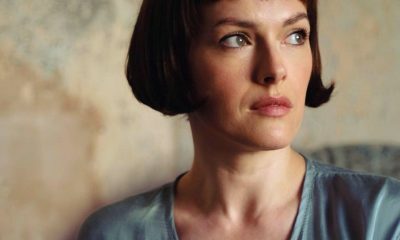 In 2015 Anita was also a contestant on Strictly Come Dancing. The arena was full and the ambiance was perfect. 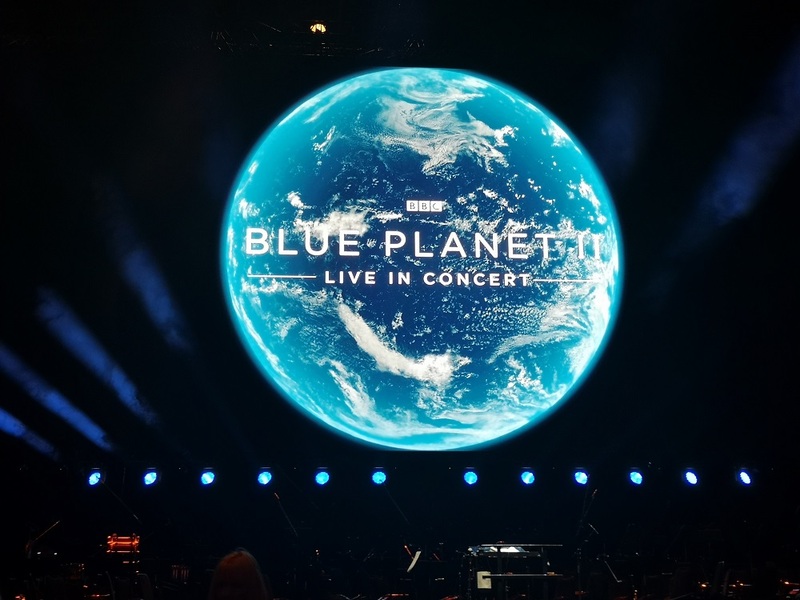 We sat and watched as the Blue Planet opened up on the gigantic screen and the orchestra found its groove perfectly, it was the ideal mix of live music and visuals. It was a bit different to sitting at home watching Blue Planet, flopped on the couch, and eating custard creams on a Sunday evening. The format of the evening worked well, Anita would setup a section of film, whether that be about a group of seals trapping confused tuna in the shallows or crabs running for their lives across rocks from massive slippery eels with glaring eyes. The theme of the evening had a focus on plastics in our oceans, something that is very much in the spotlight at the moment (about time). In the interval a short film around this topic was shown,which highlighted a product call Just Water, a bottled water company started by actor Jaden Smith (son of Will Smith). A water drink bottle that is made up of 82% renewable content. The City of Prague Philharmonic Orchestra were simply amazing, timed the score to perfection and filled the arena with layers of emotion. Does Blue Planet work as a live show? Oh hell yes it does.